Has There Been A Character in the "Higurashi" series that আপনি DIDN'T like? Who is your পছন্দ Higurashi Character? What's your পছন্দ song on the soundtrack? What scene, whether in the manga, anime, অথবা games, did আপনি find to be the most moving? Will আপনি ever be able to forgive me for my sins? I’m targeting আপনি all the time; if you’re off your guard, then traps activate! Shion is the older (believed to be younger দ্বারা everyone but the twins themselves) twin sister of the Sonozaki twins. She was sent to St. Lucia's Boarding School, but escaped with the help of Kasai Tatsuyoshi, a man who acts like a bodyguard to the Sonozaki family. 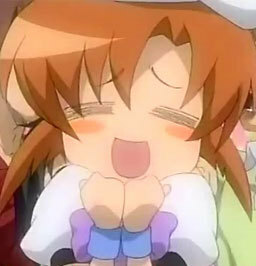 a comment was made to the poll: Has There Been A Character in the "Higurashi" series that আপনি DIDN'T like? a comment was made to the poll: English Dub অথবা Sub? a comment was made to the poll: Mion অথবা Shion? a comment was made to the poll: Who did আপনি feel most sorry more? What is Rena's "phrase" when she finds something cute?